SignDelivery’s new Hp Latex 560 printer is now operation thanks in part to HP and Athens Paper Supply of Memphis. 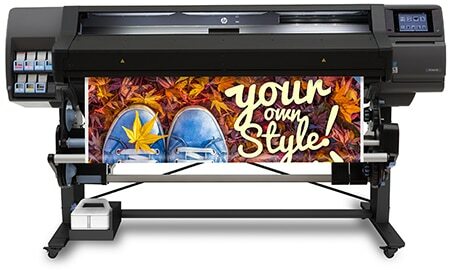 The Hp L560 offers 6-color output for vivid prints and blazing fast high-quality print speeds. We achieve high quality prints at print speeds of up to 350 square feet per hour. The 64″ inch wide machine offers output on a variety of materials including banner, pressure sensitive vinyls, photo papers, poster papers, vehicle wrap vinyl and more. Speed is everything to sign customers. The amazing print speeds allow for faster turnaround and happy customers. What are the best signs for a new business?